Up until recently, I had not carried inside the waistband on a daily basis for years.Â Because I have almost always worked in an environment where I carried outside the waistband for work, OWB translated to my daily life and I would adjust my attire accordingly to conceal my firearm.Â On some occasions I would carry inside the waistband, usually when my attire didnâ€™t allow for concealing a hip carried handgun, but by and large I have spent a large majority of my gun carrying life using OWB holsters. 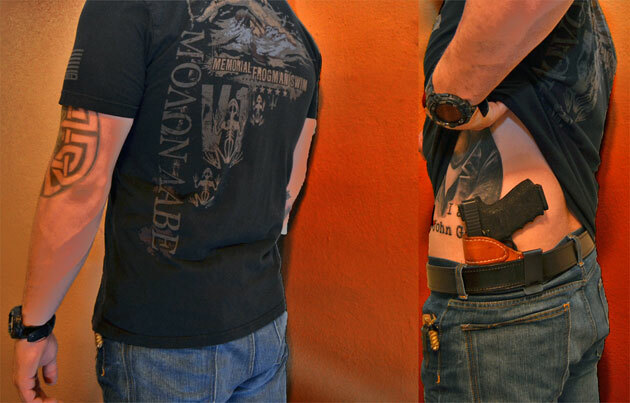 My reasoning for this was pretty simple; it is more efficient across multiple body positions to draw from the hip and for me, far faster to do so from an OWB holster.Â Now, Iâ€™ve written on my personal holster preferences before, so I wonâ€™t go too far into the specifics of my preferred holster materials other than to say I prefer kydex for everything but IWB.Â Â Leather is a living material, which makes it friendly to your skin but maybe not as long term durable as a synthetic material such as kydex.Â Of course the durability factor is a relative issue because any quality holster is going to hold up fine until you replace it with â€œthe next best thingâ€ which we are all guilty of, and should be. Just like every other manufactured product, holsters have improved thanks to more precise manufacturing techniques, innovations in design, better materials and market demand.Â So as with all other frequently used products, we replace them when we can with the latest and greatest.Â Only with holsters, we all know that what may look like the new, best solution isnâ€™t.Â For me, this was the crux of my choice to carry OWB for so long, even when doing so required wardrobe adjustments I would have not made with an IWB holster.Â I simply didnâ€™t find a single IWB holster comfortable.Â There are a few that come close, but none that were the right blend of comfort and accessibility.Â Donâ€™t get me wrong, a firearm is designed to be ergonomic for your hands, not your waistline.Â There is going to be a degree of discomfort when carrying in any holster so I have always accepted the fact that I would get the occasional poke or pinch, itâ€™s just part of carrying. Â OWB carry negated a great deal of discomfort for me so I stuck with it perhaps as much as 95% of the time. When the guys at Wild Bill’s Concealment contacted me to check out one of their holsters, I jumped at the chance because I was hoping for innovation.Â To put things in perspective, Wild Bill’s Concealment has been in the holster making business for nearly thirty years.Â That means that when Bill went into business, there was no internet.Â There were print magazines, local retailers and word of mouth.Â This was true for almost two decades of being in business.Â They literally built their business the old fashioned way and still run it that way today.Â When any company can pop up overnight and hit the ground running thanks to internet commerce, two things are going to ensure their success; customer service and quality.Â WBC has both and it didn’t take me long to find that out. WBC sent me out their Covert Carry Package, which includes a Covert Carry holster, gun belt and single magazine pouch.Â My first impression of the holster is that it felt like it had a kydex skeleton (it doesn’t).Â It was stiff but pliable.Â The belt felt the same way.Â Only the magazine pouch seemed to have any â€œgiveâ€ to it.Â Â I decided to give it a try immediately.Â After putting everything on and running a few test draws to make sure the leather was not binding on my gun under the pressure of a tightened belt, I discovered two things I immediately liked about the Covert Carry holster: the offset belt clip allowed me to carry the gun further forward without the usual discomfort I get by wearing an IWB at the 7 or 8 position (4 or 5 for the right hand crowd) and despite sitting low in the belt line and being intended for concealment, the Covert CarryÂ holster did not pin the gun to my hip like it was stapled there.Â It was also nice to discover that the belt clip has a split between it and the leather that allows you to tuck your shirt in.Â I wear untucked for the most part, but having that feature worked into an IWB design that was not purpose built/marketed for the ability to carry with a tucked in shirt was pretty damn cool. I still didn’t totally trust it, expecting a break-in period to be needed before the leather would loosen up; no such issues.Â From day one the Covert CarryÂ holster (and magazine pouch) did not bind or offer undue resistance to the draw.Â I took it to the range and worked it from every body position I could find myself in (kneeling, prone, supine, fetal, sitting, etc) without any holster binding whatsoever.Â Â The draw felt natural, clearing my cover garment from the holster offered no resistance and the holster didn’t force the grip of my Glock in a direction that encouraged snags on light clothing like T-shirts (an issue Iâ€™I’ve had with other IWB holsters). The Covert CarryÂ is stitched to hold the weapon securely while allowing for the pull and push of leather under the stresses of different body positions and belt tension.Â I was also pleased to find that the sight channel in the Covert CarryÂ is generous, further helping to prevent any kind of snagging.Â A holster is only as good as its performance from the worst possible draw position and I am willing to bet that Wild Bill’s Concealment has this in mind when designing, sewing and consistently producing excellent holsters with the customer in mind. 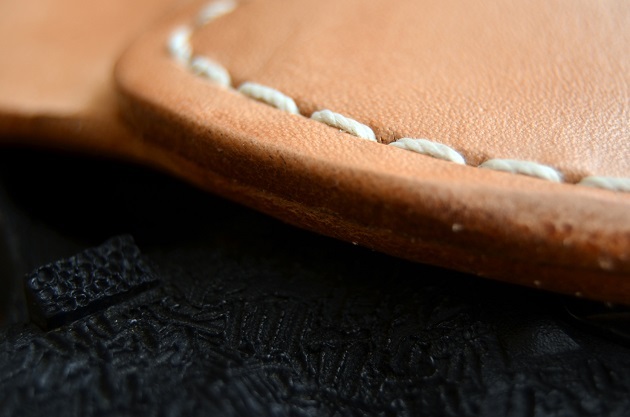 There has been a trend in holsters where the market moves towards the next best thing or next best material; today that material is kydex.Â Kydex is a great material and it does offer some advantages over leather, but it is not a replacement for leather.Â I personally do not care for the vast majority of kydex IWB holsters (my only exception out of those I have used is the kydex IWBs from Rodgers Custom Kydex Holsters) and will most likely always prefer leather for IWB. 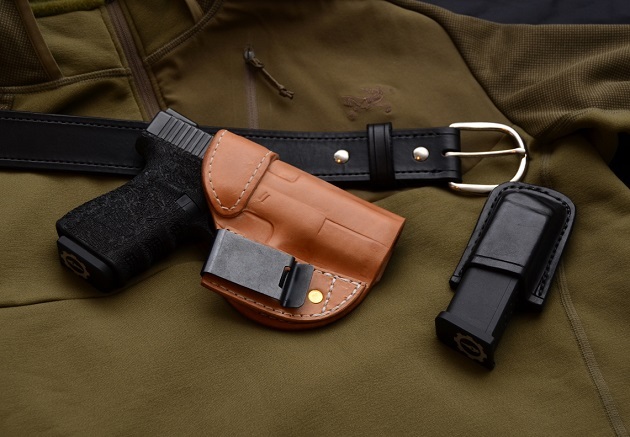 My main reason is that, as already mentioned, leather is (or was) a living material, it molds and forms to the body and the weapon and provides just enough give to make wear more comfortable than the generally stiff kydex.Â When it comes to concealment, especially IWB, we want a holster that holds the weapon close to the body, provides comfort and prevents binding on the gun by design.Â The Covert Carry does all of those things for me in a package that is reliable and well made.Â Adding in the craftsmanship of the WBC belt and magazine pouch, I have an IWB package that wont need replacement for years and doesn’t leave me wanting for the â€œnext best thing.â€Â I consider that a pretty significant bonus in a holster purchase. 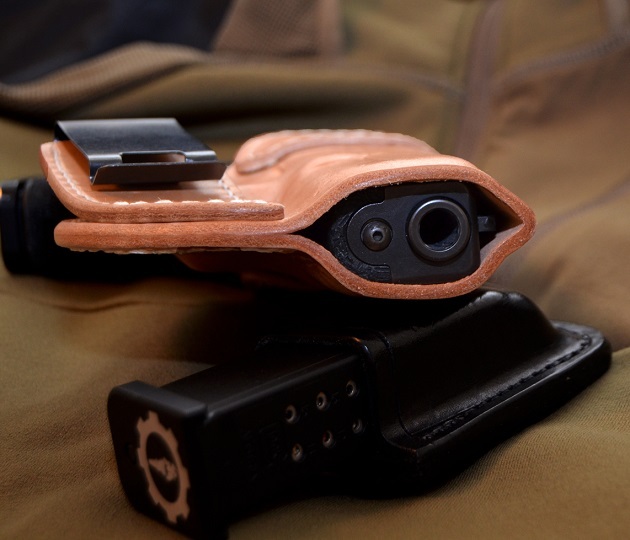 When I finally reach a point where I will be in the market for a new IWB holster, Iâ€™m going back to WBC for their quality, customer service and consistent products. I have been carrying a Glock 27 in a Wild Bill holster daily for about 4 years now, after putting a piece of fuzzy Velcro over the tip of the metal clip it is now the best IWB holster I have ever used. I would definitely buy another one if mine fell apart, but after I have seen how it stands up to the abuses that I have put it through, I don’t think it will be any time soon. I’ve also been put off by the Kydex IWB holsters, now I guess I’ll have to get one and try it out. The worst experience I’ve ever had with a company was with WBC. Waited over a year, got an unfinished holster I couldn’t fit my firearm in, tried to get it replaced and was told a teenager had made my holster. Then no returns to correspondence. Junk, junk, and more junk. Don’t know how you ordered (not in our net system under that name) or who you spoke with, but we have NEVER had any “teenagers” involved with production of holsters. All molding is done by either me, my daughter Kim (31 YOA – in the business for over 10 years) or Cory, our Production Manager. There are procedures (waxing, edge finishing) that have been done in the past by younger folks, but these are NOT critical skill taskings. Please contact us at 919-779-9582, or at bill@wildbillsconcealment.com at your earliest convenience. We will do whatever is needed to make your gear right. Now, years later, when I make a public statement about my horrible treatment by your company, you want to do something? Too little, far too late. The treatment I received warrants only me warning others, not you trying to sweep it under the rug. I’m not at all surprised you have no record of me, judging by the rest of my experience. Dude, I am NOT trying to sweep ANYTHING under the rug. We are all people and people screw things up on occasion. Sounds like that is the case with you. This is the 19th year we have been in business as a full time operation (10 years part-time prior to that while still a LEO) – if the experience you describe was our standard, we WOULD NOT STILL BE HERE. Going to have to stand with what I said previously. No teenagers have ever been involved in production at the level you describe. If someone told you that, they were wrong. Period. As far as not having a record of your order from years ago, no, we do not. Sorry. Finally, we are still ready and willing to correct any issue that you had with product purchased from us. As I posted previously, all you have to do is call or e-mail. If you choose not to do so, that’s your decision and I am sorry that you had a bad experience with our gear. Past that, at this point I do not think there is anything I can do further. I’m not having a great experience with this company either. I ordered a left handed holster for my girlfriend on December 13 2013 and was told it would take six weeks to have it at my door. After week seven I started sending messages and finally did on my third attempt at 10 weeks from my order date. I was reassured once again that it was in the que and would be here in two weeks. That was three weeks ago. Your holster are good and I was considering one for myself, but the customer service appears to be lacking severely. Please send me your full name via email at bill@wildbillsconcealment.com or call us at 919-779-9582 so we can research your order. We ate currently changing our shipping method as we are having some major issues with USPS losing product that we have shipped. We have also just moved our shop to a larger location which has caused some back log. Sorry for the delay we will get this fixed for you. I ordered a pair on 4/2 and 4/3 and now wondering how long it will take for this company to complete/send my order. I’ll follow up when the order arrive. So far I haven’t heard from anyone regarding processing my order. At this time I’m still hoping to get great a product along with an impeccable service. I have other pistols that need holstering and would love to show this product to other friends at the shooting range. Today is 4/8/15. Correction on my original post above: I placed my order on 4/1/15 and another one on 4/2/15. I just talked to Dean at WBC and was told that both my order was shipped yesterday and that I should be receiving them by this week. They ship their products via USPS 2-3 day delivery. That was a relief that someone actually answered the phone, not just a recording that I was dreading. Dean, the pleasant fellow that answered the phone was able to locate my order and confirmed that my order has shipped yesterday(4/7/15). I told Dean about my concern about the numerous customer complaints on the internet/blogs/forum etc. Dean admitted that there’s been in fact some issues with delivery in the past and that the problem has been addressed. That was a relief to say the least after reading all the complaints from various forums and reviews of their product and service. So, it’s good for now and waiting. I’ll fully believe it when I see my order in hand. I’ll follow up when the my order arrive. 4/9/15 Both order arrived in nice shape. That took about week from placement of order to delivery. I got to talk to Dean on the phone yesterday and this morning Kim sent me an email reassuring me that my order has indeed shipped and even provided me tracking numbers. I got home to check the tracking numbers but it wasn’t necessary since both holster has been waiting for me. So, all the worry is for nothing. My personal experience has been excellent. Ordering was simple, communication was good and product time delivery has been excellent. Now it’s a matter of break in period. The holster looks decent, a bit stiff but it’s to be expected at this time. I’ll follow up in a few weeks for update. Two weeks of everyday carry so far has been nice. The holsters are now somewhat broken in and I’m pretty happy with both. I think it’s only going to get even better over time. Nice job WBC and staff. The product is quality, the service and delivery was fast. I could not ask for a better transaction.